We hope the holidays are treating you well! Whether you're reading this from your computer at work, on your phone in the car, or on your laptop on the couch at home, we know your mind may be starting to wander to the new year. We have lots of great things coming up in January, including programs, events, and lots of new books. Check out what we're featuring below, and don't forget to look at our full events calendar. You can also pick up a monthly calendar of children's programs at each individual branch. Celebrate the winter season indoors between 10:15 AM and 11:30 AM as we playfully explore the science of snow and ice with hands-on activities and crafts. Meeting Room. Do you wonder how things are made? Join us for a monthly deconstruction lab where we take apart common objects, see what parts they contain, and create something new from the pieces. Take your work of art home when you are done, or leave it behind for the next breaker-maker lab! Come in out of the cold and get hands-on with art through ASAP, the After School Arts Program. Teaching Artist and renowned storyteller Maureen Korte will lead children of all ages in free storytelling and arts activities, so bring your imagination and create your own artistic masterpiece! A petting zoo that makes noise, but leaves no fur to be shed – it’s the Des Moines Symphony Instrument Petting Zoo. Children ages 3 and up are invited to play a violin and cello with help from experts at the Des Moines Symphony. Registration is required – register by calling 283-4152 ext. 3 or by clicking here. Bring the entire family together early in the evening for stories, songs and occasional crafts. During this special storytime, we’ll be decorating marshmallows with candy dipping. It's a great way for busy parents to relax and listen to stories with their children. You can even wear your jammies! Author Nancy Furstinger is well-known for her non-fiction children's books exploring nature and animals. As an animal lover, she loves reading and writing stories about furry companions. 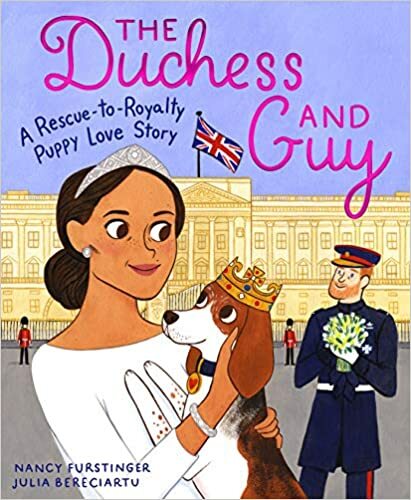 For her latest book, she calls upon the true story of Guy, a beagle that was abandoned at a Kentucky animal shelter, and Meghan Markle, an American TV actress and dog lover. With Julia Bereciartu illustrating, Nancy brings the rag-to-riches story of this regal beagle to life. How many words can you think of that rhyme with bed? Talk about it with your child during bedtime. Find a children's poetry book at the library and read it together. Use a flashlight to explore a dark room and discuss what you see. Create some soft playdough using one part hair conditioner and two parts corn starch to play with. Use food coloring to enhance the colors.